I turned off the engine. The car informed me it was 9 degrees outside on the Stiperstones. Visibility was down to 20 yards, but I could just see a few cold-looking people pulling on extra layers in the car park. 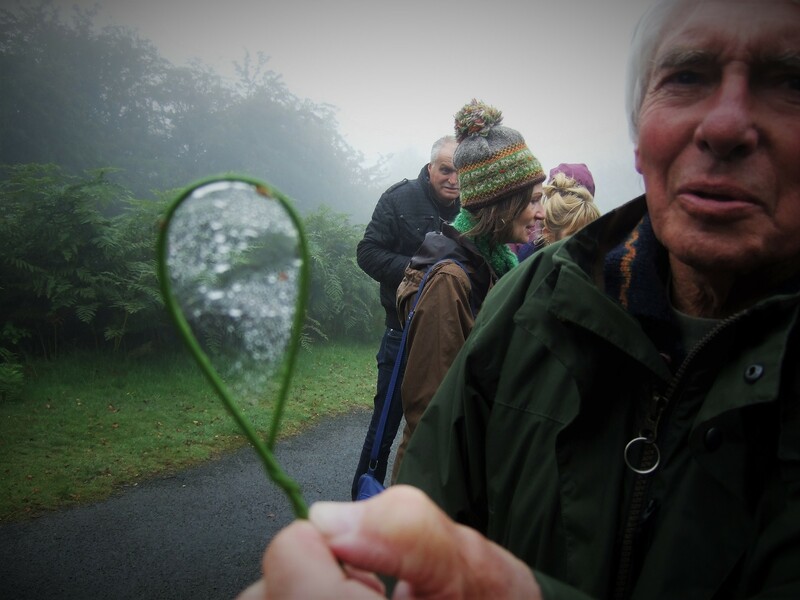 #5Sites5Senses is a collaborative project which takes people with severe disabilities, with their carers, out into the nearby countryside in the Shropshire Hills. It’s called Five Sites, Five Senses to reflect the nature of the places we’ve been out to visit, and bearing in mind the various and differing capacities of the service users. My role is to make poetry with everyone, capturing voices and creating a record of our experiences together in these beautiful places. 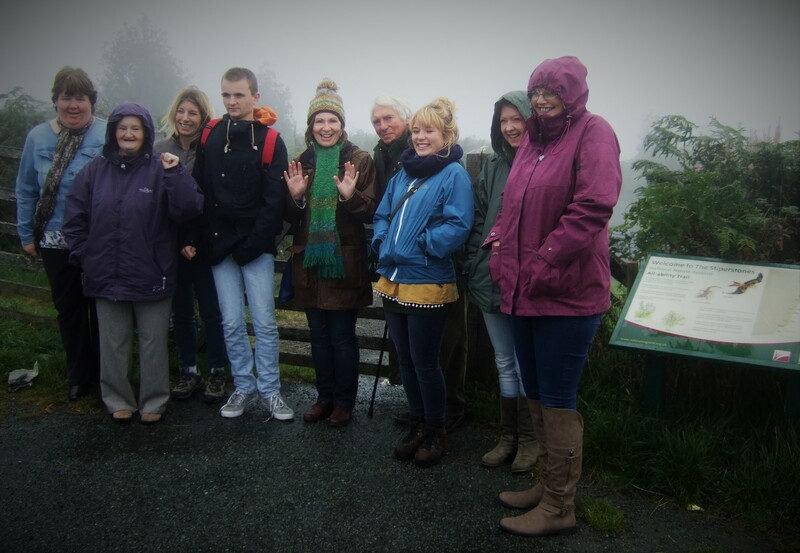 Unsurprisingly, the state of the weather had put off some of our regulars, but here we all are (except me, behind the camera) at the start of our expedition along the all-access trail. We told stories of the Stiperstones, of how the devil comes to sit on the Devil’s Chair when the cloud is down (so yes, he must have been in residence), of 11th century Wild Edric, who it is said sleeps with his soldiers under the hill, ready to protect this place from harm. Bob the artist, who comes along as a volunteer, asked if we knew how to make a fairies’ handmirror. Do you know how to make a fairy’s handmirror? Cherry, Tamarisk, & Toadflax Pug. Jenni Tibbett from Natural England, was walking with us. She told us about the three Exmoor ponies that graze on the Stiperstones. Their names are Cherry, Tamarisk and Toadflax Pug. We focussed on what was close at hand. 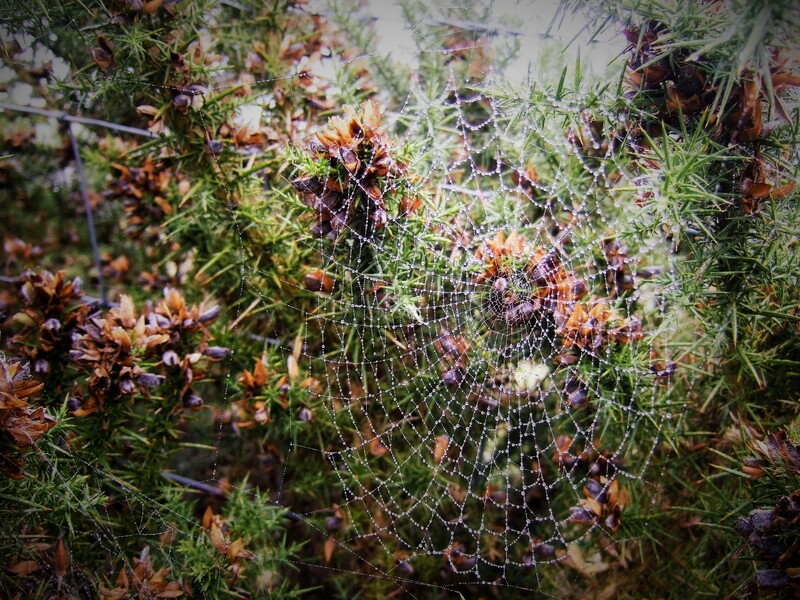 The marvellous September cobwebs. 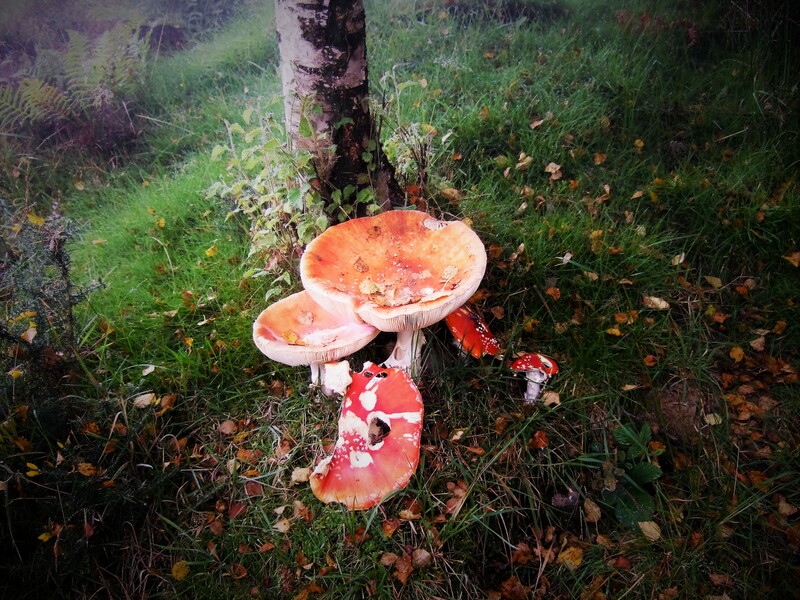 The brilliant strangeness of Fly Agaric fungus. 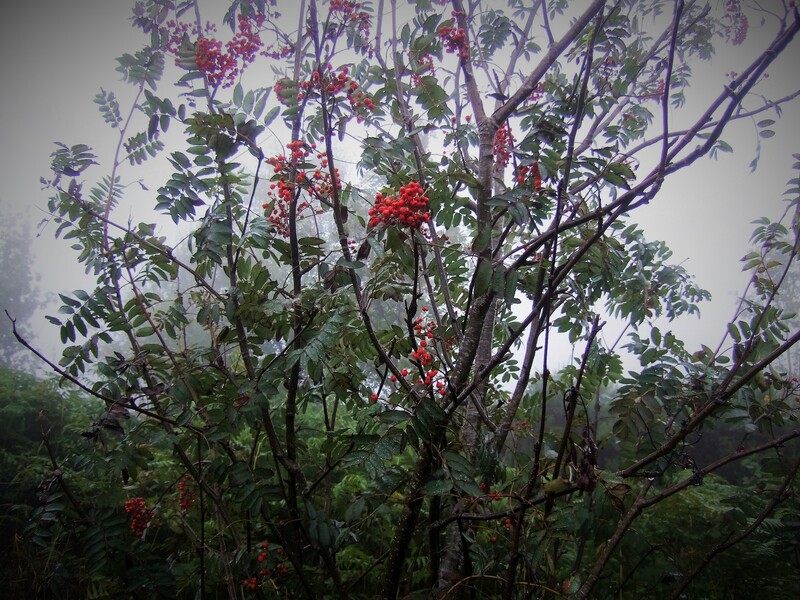 The brightness of rowan berries. When everyone was starting to feel cold, we scarpered down to the Bog Visitor Centre, who gave us a most warm welcome, hot tea, and homemade cake, while we told stories and sang songs. Later, I put this together. Maybe we’ll sing it together next time we meet. for Cranberry Rock, for Nipstone. by Cranberry Rock, by Nipstone.